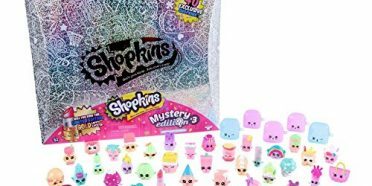 The Shopkins Shoppies love to play with their Shopkins friends! 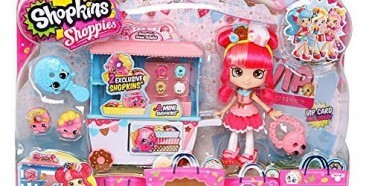 Comes with two exclusive Shopkins!! 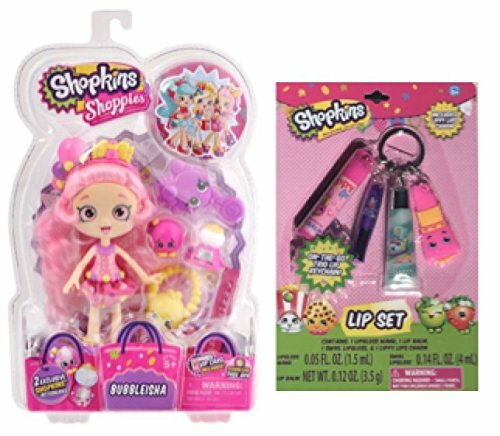 Unlock your Shoppies online by downloading the Shopkins App and enter the unique code from the included VIP card! 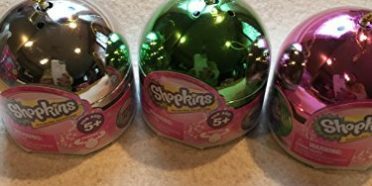 Bonus Lippy Lips Charm Keychain On-The-Go Lipgloss Trio!!! 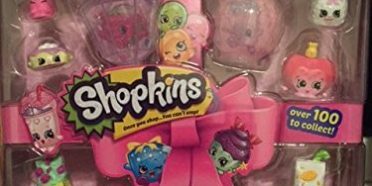 Like a kid in a candy store, Shopkins Shoppies Bubbleisha only has one speed: FAST! 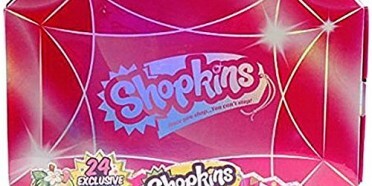 After a Girl’s Day Out with this “Sugar High Shoppie,” her friends need a week to recover! But even after her friends drop, this girl just doesn’t stop! Her “Personal Best” is hitting 503 stores in one day! (And that was in high heels!) 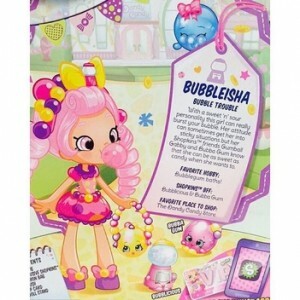 With a sweet n sour personality this girl can really burst your bubble. 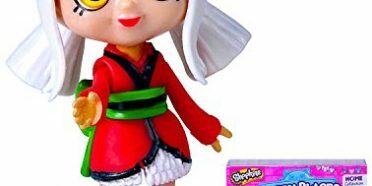 Her attitude can sometimes get her into sticky situations but her friends all know she can be as sweet as candy when she wants to. 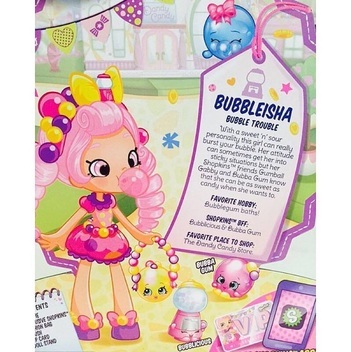 With a sweet ‘n’ sour personality this girl can really burst your bubble. 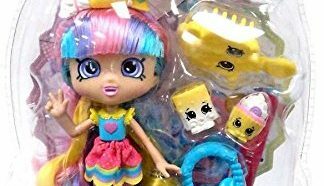 Her attitude can sometimes get her into sticky situations but her Shopkins friends Gumball Grabby and Bubba Gum know that she can be as sweet as candy when she wants to. Favorite Place To Shop: The Dandy Candy Store.